Been around the ADK Epoch/ Overpoch servers for sometime. Some of you may already recognize me or you may not. I play with my good pal Kieran as well as Chris, Ikaozz, Icemanbear, Chad. 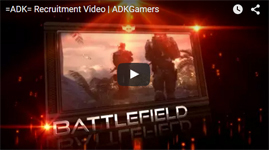 Hello and welcome to the =ADK= Community forums!